UNITY in Alaska 2018: Part #1 – UNITY, Inc.
FAIRBANKS, ALASKA – The University of Alaska Fairbanks Tribal Management Program – Tribal Youth Advocacy Institute brought together 19 Alaska Native youth from across the large state of Alaska. 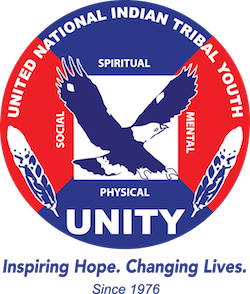 In addition to the 19 Alaska Native youth was one American Indian youth from Arizona, UNITY staff member Jared Ivins-Massey. The Tribal Youth Advocacy Institute has created a space for Alaska Native youth to gather and share their issues, ideas, and collectively find ways to address those problems that plague their community/region. The four days of regerious training, listening, learning, and dialogue. The program featured insightful presentations and workshops from the First Alaskans Institute. The First Alaskans Institute is a non-profit charitable organization whose purpose is to advance Alaska Natives. The Tribal Management Program is one of many programs shaping the next generation of leaders through higher education. The students who participated in the program took two to three plane rides to Fairbanks, Alaska for this inspiring week of advocacy. The tools the students received catered to their state, specially their regions. The state of Alaska is large with regions completely different than the other, in terms of the Alaska Native people. Though the state is diverse in culture, the issues Alaska Native youth face is rather similar within every village. In the mist of the adversity and issues that plague these Native villages, the people continue to hold their traditional ways of sustainability and subsistence living at the core of their being. The power of traditional knowledge always prevails, and the Alaska Native youth continue to fight and hold onto a way of life that has sustained their people for thousands of years. The work of the University of Alaska Fairbanks – Tribal Management Program is to be praised for developing the next generation of Alaska Native leaders.